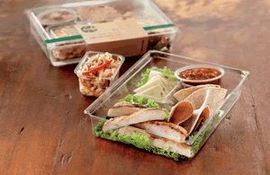 Listeria contamination alert: Starbucks customers in Georgia, Florida and Alabama need to be advised that chicken wraps and other chicken products produced by Flying Food Group, LLC, located in Lawrenceville, Georgia, and sold during July 2011 could have been contaminated with Listeria monocytogenes, a bacteria known to cause food poisoning. On July 26, 2011, the U.S. Department of Agriculture’s Food Safety and Inspection Service (FSIS) announced that the initial recall (announced July 19, 2011) involving 204 pounds of chicken wraps and other ready-to-eat chicken products was being significantly expanded to include an additional 6,901 pounds of ready-to-eat chicken, turkey, beef and pork products produced by Fly Foods Group between July 13 and July 24, 2011, and distributed in Alabama, Georgia and Florida. A list of the specific products being recalled can be found in the FSIS press release. Any Florida, Alabama or Georgia customer of Starbucks who has consumed one of the recalled products is at risk for Listeria food poisoning. Listeria infection can result in Listeriosis, a foodborne illness with potentially serious and life threatening health consequences. Symptoms of Listeria food poisoning (i.e., muscle aches, fever, nausea, diarrhea, stiff neck, loss of balance) may not appear for several days or several weeks because Listeria pathogens have a relatively long incubation period (3-70 days). Pregnant women are most at risk because they are 20 times more likely to suffer Listeriosis than other healthy adults. Any customer who suspects that they are suffering Listeria food poisoning should seek medical care as soon as possible. Daniel Ragland is a food poisoning attorney and available to serve consumers throughout the Southeast including Georgia, Florida and Alabama. He has expertise in the fields of foodborne illness and food safety. Mr. Ragland is a founding partner of the law firm Ragland Law Firm, LLP located in Atlanta, Georgia. Any person with concerns about these recalled contaminated food products may contact Mr. Ragland by email or phone (770) 407-7300. Starbucks has issued its own press release acknowledging that it received and may have sold some of the Listeria tainted chicken products being recalled to customers in Georgia and Alabama between July 13 and July 15, 2011. For the sixth year in a row, Ragland Law Firm, LLP will support MADD Georgia by sponsoring its annual “Walk Like MADD” campaign. This year, Ragland Law Firm, LLP will serve as a “Mission” corporate sponsor by making a contribution in the amount of $2,500. The law firm has sponsored MADD’s annual 5k walk every year since 2006. During the last six years, Ragland Law Firm, LLP has made corporate sponsorship contributions to MADD Georgia totaling $17,500. The 2011 “Walk Like MADD” event will be held on Saturday, September 17, 2011. The event will begin at 9:30 a.m. and will be held at the State Farm Atlanta Operations Center, 11350 Johns Creek Parkway, Johns Creek, Georgia 30098. Ragland Law Firm, LLP recognizes that drunk driving poses a serious risk to the safety of motorists and pedestrians in Georgia and throughout this country. In 2009, alcohol related crashes caused nearly 11,000 fatalities in the United States. Therefore, the trial attorneys at Ragland Law Firm, LLP are committed to helping Mothers Against Drunk Driving (MADD) achieve its mission to “stop drunk driving, support the victims of this violent crime and prevent underage drinking.” Attorney Daniel A. Ragland has served on the State Advisory Counsel to MADD Georgia since 2002. He is the chairman of the Victims Services Committee. Ragland Law Firm, LLP has helped a severely injured woman achieve an important appellate victory in a medical malpractice case. The Georgia Supreme Court has just ruled in favor of an asplenic patient who pursued a malpractice lawsuit against several of her physicians after suffering an overwhelming post-splenectomy infection (OPSI) which resulted in the amputation of her limbs. The plaintiff, a wife and mother of three young children, became asplenic as a teenager due to injuries she suffered in a car accident that necessitated the surgical removal of her spleen. During the next two decades, none of her treating physicians ever warned her about the risks of OPSI or advised her to receive vaccines recommended for anyone with asplenia (lack of a functioning spleen). Because she never received immunizations needed by asplenic patients, the plaintiff contracted an OPSI in September 2004, just a few months after giving birth to her third child. She was hospitalized for nearly a year and underwent multiple procedures including surgeries to amputate her arms and legs. In 2006, she retained medical malpractice attorney Daniel Ragland who filed a lawsuit against a primary care physician and several OB-GYN physicians who the plaintiff had seen regularly during the 1999-2004 period just prior to her OPSI. The malpractice lawsuit, filed in August 2006, alleged that each physician knew that the plaintiff had lost her spleen, and committed malpractice by failing to vaccinate her against the various bacterial pathogens known to cause OPSI. 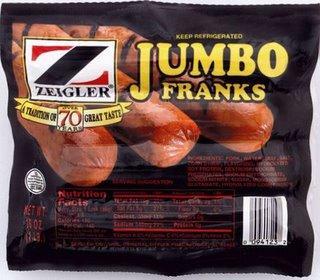 On November 8, 2008, the U.S. Department of Agriculture (USDA) announced the recall of over 28,000 pounds of Zeigler hot dog products due to concerns over possible Listeria contamination. Click and read the full USDA press release. The potentially unsafe hot dogs were produced by the R.L. Zeigler Company in Selma, Alabama on or around September 22, 2008, and shipped to food service institutions and retail establishments in Alabama, Georgia, Mississippi and Tennessee. Consumers should be warned not to eat or use any of the Zeigler meat products being recalled. Consumption of food contaminated with Listeria monocytogenes can cause Listeriosis, an uncommon but potentially fatal disease. Healthy people rarely contract Listeriosis. However, Listeriosis can cause high fever, severe headache, neck stiffness and nausea. Listeriosis can also cause miscarriages and stillbirths, as well as serious and sometimes fatal infections in those with weakened immune systems, such as infants, the elderly and persons with HIV infection or undergoing chemotherapy. Consumers who purchased or have any of the recalled product are urged to contact Zeigler at (800) 326-6328 or (800) 392-6328. The potential Listeria contamination of Zeigler wiener products was discovered last week by food scientists with the Georgia Department of Agriculture during routine microbiological testing of product samples. Georgia inspectors detected Listeria monocytogenes in a 12-ounce package of Zeigler Chicken and Pork Wieners marked CI USE BY NOV 26 08. The tested package was also labeled with plant number P-9156S inside the USDA mark of inspection. After discovering the Listeria monocytogene contamination on November 7th, Georgia officials immediately warned the USDA, and began to remove Zeigler hot dog products with certain code numbers from store shelves in Georgia. A copy of the press release issued by the Georgia Department of Agriculture can be found here. The National Sleep Foundation (NSF) has announced that it will recognize its 2nd annual “Drowsy Driving Prevention Week” (DDPW) during the week of November 10-16, 2008. The NSF is an independent, science-based, nonprofit health organization of physicians, scientists, researchers and other sleep professionals dedicated to improving public health and safety by achieving a greater understanding of sleep and sleep disorders. The NSF furthers its mission through public education, research and advocacy initiatives. One of these initiatives is “Drowsy Driving Prevention Week” which NSF sponsors to raise public awareness about the dangers of driver fatigue and drowsy driving. “Drowsy Driving Prevention Week” was first recognized in November 2007. At that time, NSF launched a new website: www.drowsydriving.org. On that website, readers can find more information about the dangers of drowsy driving and ways to help increase public awareness about this serious national safety problem. That website also features testimonials from victims whose lives have been permanently affected by a drowsy driving or sleep related crash. Moreover, every year during “Drowsy Driving Prevention Week,” NSF plans to release on its drowsydriving.org website an annual survey about progress being made on specific issues related to drowsy driving prevention and law enforcement. Ragland Law Firm, LLP agrees that driver fatigue and drowsy driving is a serious traffic safety concern. Therefore, the firm fully supports the efforts of NSF to raise awareness about this problem through its “Drowsy Driving Prevention Week,” and related education and prevention campaigns. Numerous studies have shown that fatigue and/or sleepiness significantly impairs a person’s ability to safely operate a motor vehicle. Drowsy drivers have slowed reaction times, impaired judgment, diminished motor skills, more difficulty with information processing, and a tendency toward more aggressive driving behaviors. One study performed by the AAA Foundation for Traffic Safety concluded that compared to drivers who had gotten 8 hours or more of sleep, people who had slept less than 7 hours are twice as likely to cause a motor vehicle accident, and people sleeping less than 5 hours increased the risk of a crash four to five times. Researchers in Australia claim that being awake for 18 hours produced an impairment equal to a blood alcohol concentration (BAC) of .05, and sleep deprivation of 24 hours produced impairment equivalent to that of a drunk driver with a BAC of .10 which is above the legal limit of .08 in Georgia and all across America. MADD Georgia recognized Ragland Law Firm, LLP as the “Top Fundraiser” at its “Walk Like MADD” campaign held on September 20, 2008 at Zoo Atlanta. This is the second year in a row that Ragland Law Firm, LLP has received the “Top Fundraiser” award at MADD Georgia’s annual walk campaign. Last year, the event was called “Strides for Change” and was held at Centennial Olympic Park in downtown Atlanta. In 2007, Ragland Law Firm, LLP sponsored the “Strides for Change” event with a corporate donation of $2,500. In addition, Ragland Law Firm, LLP raised another $6,000 in contributions from other trial lawyers. This year, Ragland Law Firm, LLP sponsored the “Walk Like MADD” campaign with a corporate contribution of $5,000. In connection with the 2008 “Walk Like MADD” campaign, the Ragland Law Firm, LLP team exceeded its pre-walk goal and raised nearly $7,000 from other attorneys and law firms throughout Georgia. The firm was also a corporate sponsor of the “Strides for Change” walk in 2006. During the three years (2006-2008) that Ragland Law Firm, LLP has sponsored and participated in the annual fundraising walks held by MADD Georgia, the firm has contributed and raised over $22,000 in funds to support MADD Georgia. The stated mission of MADD is to “stop drunk driving, support the victims of this violent crime and prevent underage drinking.” Ragland Law Firm, LLP is dedicated to safety advocacy, and is particularly dedicated to supporting MADD Georgia. The Georgia Supreme Court Has Granted Certiorari and Will Hear Oral Arguments Next Month in Lyon v. Schramm, a Case Involving the Application of Georgia’s Five Year Medical Malpractice Statute of Repose. On July 8, 2008, the Georgia Supreme Court granted petitions for certiorari filed by three physician defendants in the case of Lyon v. Schramm, 291 Ga.App. 48, 661 S.E.2d 178 (2008). That medical malpractice case involves a 43-year woman who claims that her longtime primary care and OB-GYN physicians failed to give her certain vaccinations and other care recommended for persons who have no spleen. Because of her asplenia and her physicians’ failures to appropriately immunized her, the Plaintiff claims that she suffered an “overwhelming post-splenectomy infection” (OPSI) that led to the amputation of both of her legs and both of her arms. The Plaintiff is being represented in Atlanta by Daniel A. Ragland, a personal injury and medical malpractice lawyer at Ragland Law Firm, LLP. The defendant-physicians assert that the Plaintiff’s claims of professional negligence are barred by Georgia’s five year medical malpractice statute of repose because the patient first starting seeing them more than five years before the lawsuit was filed. For this reason, the trial court granted Motions to Dismiss on behalf of the Defendants in April 2007. Mr. Ragland appealed to the Georgia Court of Appeals which reversed the trial court’s decision finding that the five year statute of repose had not expired. The Georgia Court of Appeals reasoned that the Defendants had failed to vaccinate and otherwise properly protect their asplenic patient from the risks of OPSI on many occasions, including visits which took place during the five year pre-suit period. As such, the Georgia Court of Appeals agreed that negligent acts which were committed within five years of the lawsuit could support timely malpractice claims by the Plaintiff. Both sides have now filed their appellate briefs with the Georgia Supreme Court. Oral argument before the Georgia Supreme Court has been scheduled for 10:00 a.m. on Monday, October 20, 2008. Earlier this year, the Executive Committee of GTLA decided that there needed to be a permanent annual event to recognize excellence in the Georgia Judiciary. 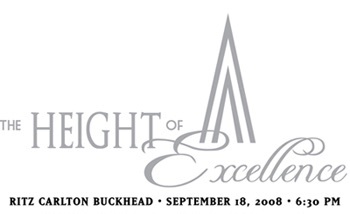 Therefore, it was decided to honor the judiciary with an annual reception to be known as “The Height of Excellence.” Ragland Law Firm, LLP is proud to be one of the first sponsors of this event and to have made a $1,000 contribution to help provide necessary funds. The GTLA Executive Committee has also now created the “Anthony A. Alaimo Award for Judicial Excellence,” which will be bestowed upon a worthy member of the trial or appellate judiciary in Georgia at this inaugural event and annually at this event every year in the future. This award was created in honor of the Honorable Anthony A. Alaimo, Senior Judge of the U.S. District Court for the Southern District of Georgia. It has already been announced that Judge Alaimo will be the first deserving recipient of this award which has been named in his honor. Before being appointed to the federal district court in 1971, Judge Alaimo served as the 13th President of GTLA in 1968. Before attending law school, Judge Alaimo served in the U.S. Army Air Corps and had flown a B26 as a member of the 322nd Bomb Group during World War II. His plane was shot down over the North Sea and he was captured by the Germans. Judge Alaimo was one of many American prisoners of war who daringly escaped from a German POW camp. Atlanta Personal Injury Lawyer Daniel A. Ragland Will Attend the 2008 MADD National Conference in Dallas, Texas. Daniel A. Ragland, a founding partner at Ragland Law Firm, LLP, has been invited to attend the 2008 MADD National Conference to be held in Dallas, Texas on September 4-6, 2008. The highlight of MADD’s annual conference is always its National Victim/Survivor Tribute which is a candlelight vigil held to honor deceased and injured victims of DUI crashes. This year, that important event will be held at the Hilton Anatole in Dallas during the evening of Friday, September 5, 2008. Also scheduled is a keynote address by the current MADD National President, Laura Dean-Mooney, during the evening of Thursday, September 4. Mr. Ragland will attend many of the workshops planned during the day on September 5 and September 6. Some of these workshops will address various topics including, among other things, understanding and meeting the needs of persons suffering a traumatic brain injury, providing support to those grieving the death of a family member, understanding the role of alcohol interlock technology to prevent convicted offenders from repeating their drunk driving, methods to reduce access to alcohol by underage drivers, and the use of Victim Impact Panels to help show convicted offenders that innocent persons are victimized by their impaired driving. Daniel Ragland is a civil trial attorney who regularly represents victims of drunk driving in lawsuits against the DUI offender. He has also handled many dramshop liability cases against persons or businesses who have negligently served or sold alcohol to an underaged youth or a noticeably intoxicated adult. 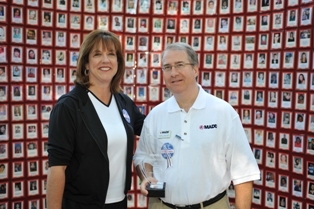 Mr. Ragland has been an active member of MADD Georgia since 1990. He served as “Legal Advisor” and as a member of MADD Georgia’s Board of Directors during 1992-1998. Currently, he is a member of the State Advisory Council of MADD Georgia, a position he has held since 2002. Mr. Ragland has been asked on many occasions to conduct training workshops for MADD victim advocates on topics relating to civil law claims against drunk drivers, as well as civil claims based upon negligent entrustment, vicarious liability, dramshop liability or social host liability. Mr. Ragland has been invited to make presentations about civil law remedies available to victims of an alcohol-related traffic collision at training workshops conducted by MADD chapters in Georgia, Florida, Texas, Arizona, New Mexico and Washington. This website provides general information only and nothing is intended to convey legal advice to the reader. Do not rely upon the contents of this website, but instead make all decisions about your case or particular circumstances only after consulting with an attorney. You do not become a client of the Ragland Law Firm, LLP by visiting this website or contacting us through the internet.